An authentic horse and cattle ranch in the Rocky Mountain foothills, Sylvan Dale Guest Ranch has been family owned and operated since 1946. 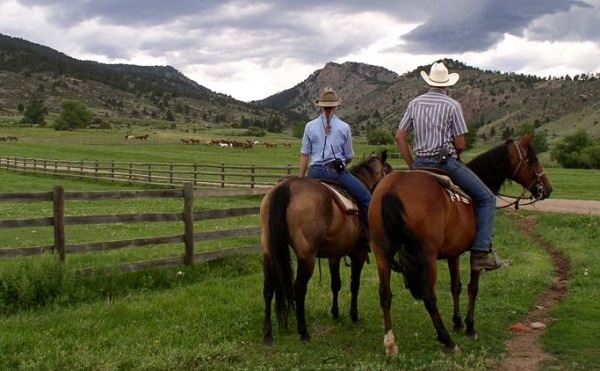 Rated among the “Top Ten Colorado Dude Ranches” by True West Magazine, Sylvan Dale offers plenty of outdoor adventures including cattle drives, overnight pack trips, fishing, rafting, trapshooting, and more. Covering 3,200 acres, this family friendly vacation spot is just an hour from Denver, with mild temps and mile-high elevation. 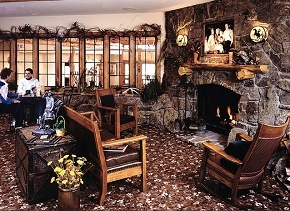 Cabins are warmly decorated with comfortable country furnishings and antique accents. All have private baths and porches, air-conditioning, carpeting, refrigerators and coffee makers. Some also have fireplaces. Guest houses are perfect for larger families or groups and feature 3 or more bedrooms, 2+ baths, kitchens and outdoor patios. All meals are included in your vacation package, and food is plentiful, hearty and home-style. Some meals feature the ranch’s own Heart-J grass-finished beef or other specialties of the house, including fried chicken, meatloaf, Thanksgiving dinner or a Mexican buffet. Home-baked goodies make a delicious dessert. 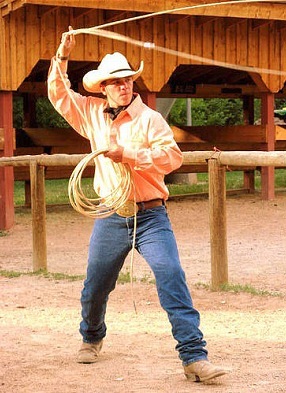 Each evening features an event such as a campfire sing-along, horse-drawn hayride, cookout, live Western entertainment, square and line dancing, a “field of dreams” softball game or a rollicking Ranch Party. 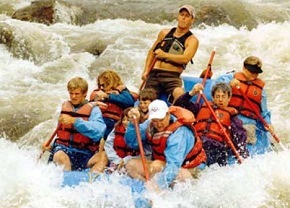 You can also choose from bass fishing, white water rafting (additional charge), swimming, tennis, game room, nature walks, birding, Western arena activities and much more. Ranch-raised quarter horses are at the heart of Sylvan Dale’s riding program, which is designed to offer a custom experience for each guest. Whether you are an experienced rider or a first-timer, you will appreciate the quality of the herd and the competence of the wranglers. You will be assigned your own horse for the week and can take part in its care and grooming. The six-night western-adventure begins with check-in on Sunday after 3:00pm and ends Saturday morning after breakfast with check-out at 10:00am. Three-night packages are also available during select weeks. (Sun-Wed or Wed-Sat). Prices vary based on the dates selected and run from $1,586pp (low season) to $2,295pp (peak season). There are discounted rates for youths (age 7-12) and children (age 3-6) and there is no charge for infants under age 3. 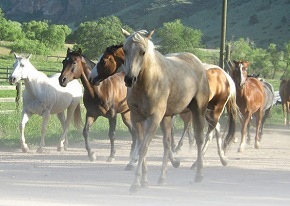 There are also selected events (Cowgirl RoundUp, Fall GrownUp Getaway) with discount pricing, so please inquire. Rates are land-only, with airfare to Denver added if needed. Note: The Sylvan Dale is great for corporate outings and family reunions, too!